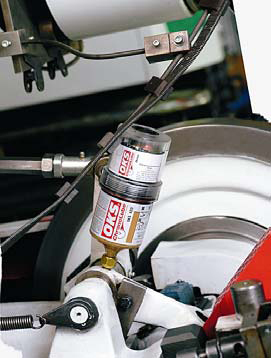 Pastes/Compounds Safeguard assembly, running-in and emergency lubrication. Ease disassembly. Reduce Friction. Protect against wear. Oils/Fluids Special Lubricants for requirements beyond the performance range of conventional lube oils. Reduce maintenance and energy costs. Bonded Coatings Provide non-polluting, permanent dry lubrication where it is impracticable or unsuitable to use oils and greases. MoS2 Powders For short-term dry lubrication and incorporation into components. Penetrating Lubes For extremely broad temperature ranges and specific operating conditions. Corrosion Protection Special products for temporary and long-term protection of highly valuable tools, spare parts, machine components and entire machines.